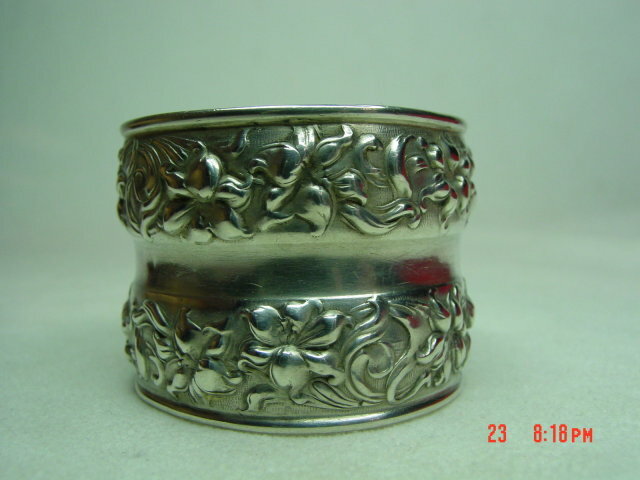 Beautiful sterling silver repousse napkin ring. 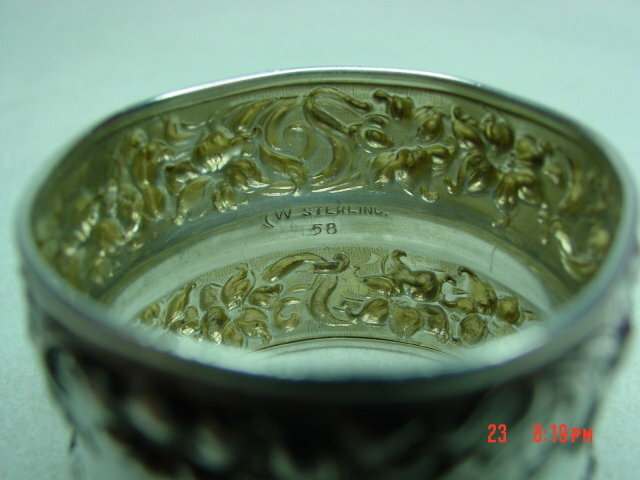 Solid band in the middle with repousse work on each side, and each end is rounded. Inside center ring is engraved with a symbol or letter which I can't identify, W STERLING, and 58 below. Weighs 15.6 gms. Items Similar To "Beautiful Sterling Silver Repousse Napkin Ring"
1970’s Sterling Silver Goblet inset with agates, florentine bark texture.